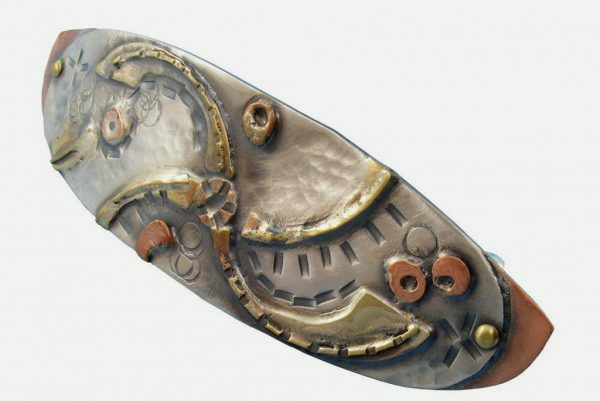 This Back 2 Back Archaeology Barrette, features a motif originally found on a pottery shard discovered in Israel. 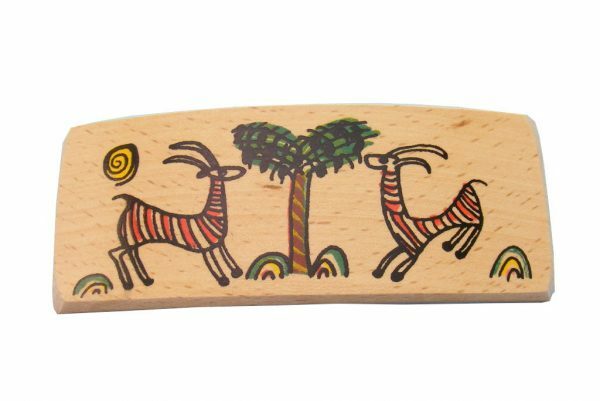 Fashioned from hardwoods by Etz-Ron, these hair barrettes in the “Ancient Ties” series are decorated with designs patterned after those found on pottery of the Canaanite, Egyptian and Philistine peoples from before the period of the exodus through the period of the Israelite kings. Typical motifs found on the pottery were fish and birds looking back (Philistine), birds and palm, ibex and palm (Canaanite) and geometric patterns. 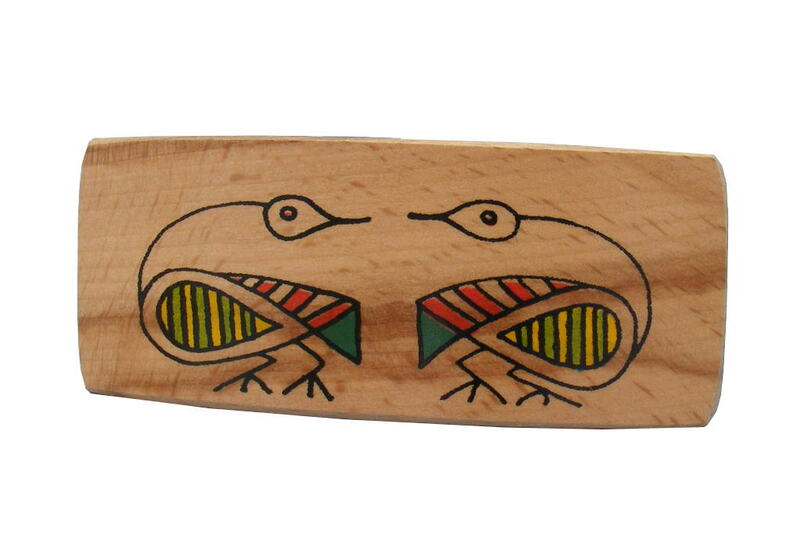 The hair barrettes are made from a variety of light colored hard woods such as maple, beech, cherry and more. 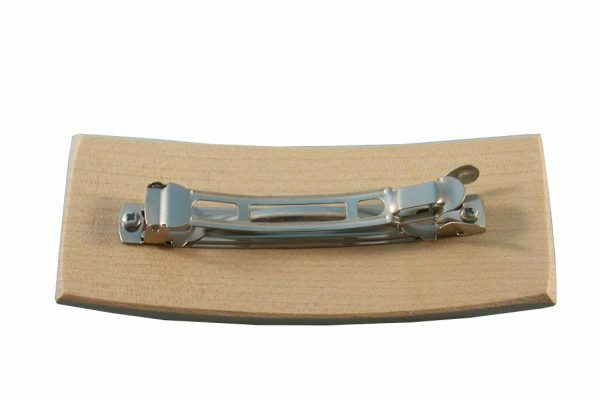 The metal barrette fastening on the back side is screwed into the wood. Please contact me if you have a wood preference.